The University of Northern Iowa Nonprofit Leadership Alliance (NLA) is a student-run organization dedicated to educating, preparing, and certifying professionals to strengthen and lead nonprofit organizations. NLA is also a national alliance of 40 current colleges and universities, as well as countless nonprofit organizations that are committed to preparing undergraduate students, graduate students, and professionals for careers with national and international nonprofit organizations. Please click here to donate to our annual giving campaign! 2018 Alliance Management Institute – Kansas City, Missouri! 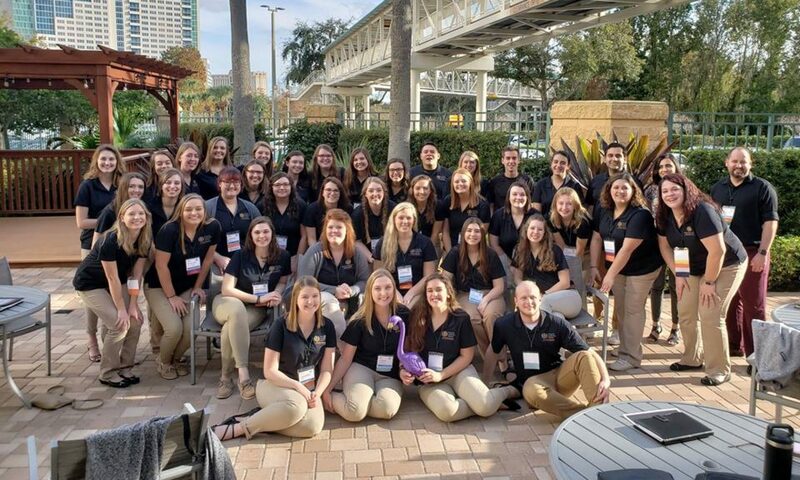 In January of 2018, over forty UNI students had the opportunity to attend the Alliance Management Institute in Kansas City, Missouri. They had a great time networking with nonprofit professionals from all across the country, participated in case studies, and took home some incredible awards! The University of Northern Iowa’s Nonprofit Leadership Alliance Wins the “What’s the Big Idea?” Contest! “The “What’s the Big Idea?” Award recognizes a group of NLA students who have created an innovative solution to address a major challenge facing the nonprofit sector. The 2018 groups focused on diversity, equity and inclusion in the nonprofit sector. UNI’s “Big Idea” was presented in front of a panel of judges and 500 conference attendees. As the winning team, UNI received the “What’s the Big Idea?” Award and $1,000 for the organization (Nonprofit Leadership Alliance, 2018)”. We would like to extend an enormous thank you to all of our donors for supporting our students’ journey and professional development through the attendance of the Alliance Management Institute! Come visit us in the Human Performance Center (Connected to the WRC). Our office is located at HPC 107. We would love to talk with you!